We know picking an outsourcing partner for your Contracts Electronics Manufacturing (CEM) or Printed Circuit Board Assembly (PCBA) project can be a tricky and lengthy process. How should you make your decision? How do you know that your chosen partner will be the best fit? Teddington has been providing CEM and PCBA services for generations. In his latest blog, Production Manager Derek Pollitt looks at five key factors you should consider before starting a relationship with a new supplier. First and foremost, make sure your chosen partner has the capabilities to meet your needs – both now and in the future. 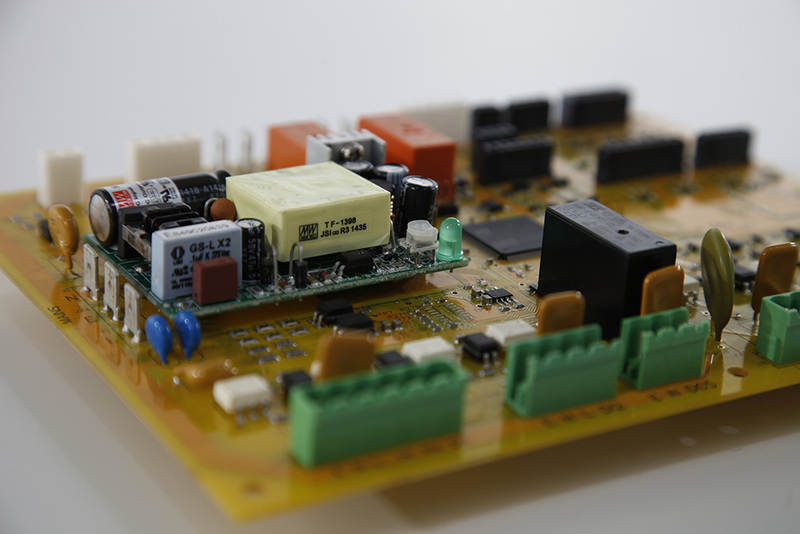 From surface mount technology, through-hole production and cable assembly, through to box builds, testing and inspection – does the supplier tick all of the right boxes? Alongside traditional inspection techniques, such as visual inspections, functional tests and bed of nails circuit board test fixtures, make sure they utilise the very latest technology. Teddington’s Automated Optical Inspection (AOI) systems for example are some of the most powerful tools in the industry for ensuring superior levels of accuracy and reliability. It’s essential that your CEM partner provides extremely robust, accurate, and pragmatic assembly solutions. They should be able to manage machine and paint enclosures to any specification and oversee all stages of production to ensure the highest quality finish. A range of assembly methods, such as bench, line and focused cell assembly, should also be in place to provide complete flexibility. At Teddington, our production staff are trained to the highest IPC610 standards and use our tried-and-tested systems to offer an unrivalled service. From straightforward wiring to multi-component assemblies, we can process cable from 36AWG to 2AWG for use in industries as demanding as defence and automotive. The best CEM manufactures are committed to a culture of continuous improvement, where quality and reliability play a central role. By utilising best-in-class quality management systems and state-of-the-art technology, dedicated teams of experienced and skilled engineers should be able to offer a range of integrated and innovative services to help meet your needs. Such an approach results is innovative, effective and high-quality products that are delivered on time and within budget. Your CEM partner should have developed a strong reputation and a proven track record of supplying high-quality contract electronics manufacturing services. Don’t be afraid to ask who they’ve worked for in the past or if they can put you in touch with current or former customers. It's imperative that you feel confident in your choice and one of the best ways to help with that is through third part endorsement. At Teddington we work with a range of clients across sectors that include defence and aerospace, transport and automotive, utilities and energy generation, and HVAC. From international companies and OEMs, to small start-ups with a bright idea, your CEM partner should strive to create a true partnership founded on collaboration, openness and dedication. However straightforward or complex your requirements, they should provide a wide range of CEM equipment, capabilities and services to meet your needs – with reliable, responsive updates throughout the process. At Teddington our ‘right first time’ attitude ensures greater productivity and flexibility – resulting in reliable, bespoke products of the highest quality. Whether you want to reduce manufacturing costs, avoid capital equipment investment, or improve time to market, Teddington is ready to help you today. Contact us to find out more.